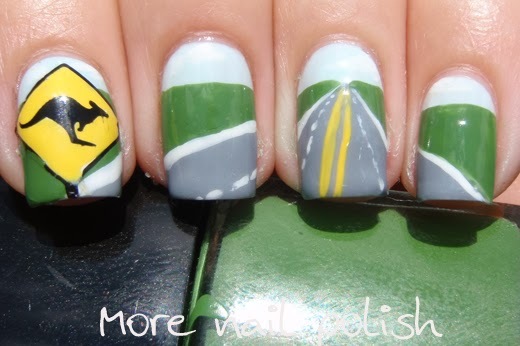 I did kangaroo road sign nail art last year, but with the arrival of my Moyou tourist plate 09, I had to attempt another version. As you can see I did a road going off over horizon. 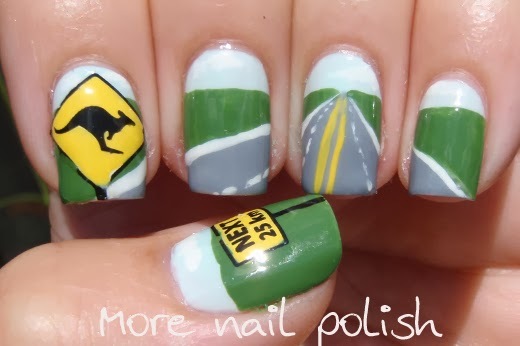 I used the kangaroo road sign from Moyou tourist plate 09 on my index finger in the hope that it looked like the sign was right next to you as you drove down the freeway. To create the yellow background to the stamp, I used the decal technique where you colour in the stamp whist it's still on the stamper. Then I applied a layer of top coat, counted to 20 for it to partly dry, then pressed the stamp down. 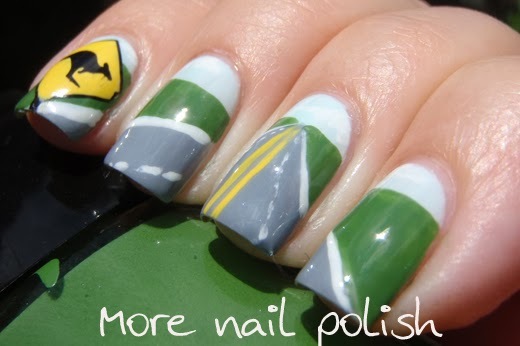 I feel these nails are a little lazy and I should have done some more details with the scenery. I also think it's pretty hilarious that I did green land on the road side, because certainly where I live, I rarely see lush green grass. I love the roo road sign image, its just a shame that it is so ginormous. 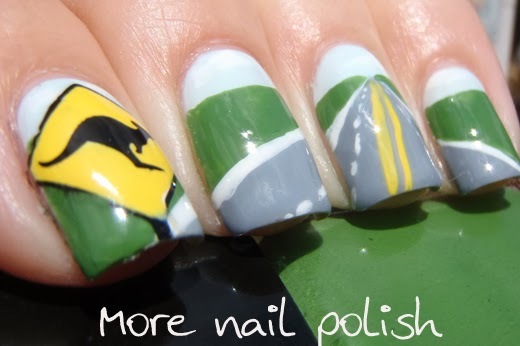 The kangaroo part is only the top part of the stamp, and as you can see it fills up my entire nail. I had to use the bottom part of the stamp with the "Next 25km" on it, on my thumb. Love everything about this mani!